Last week was one of the most magical experiences of my life! 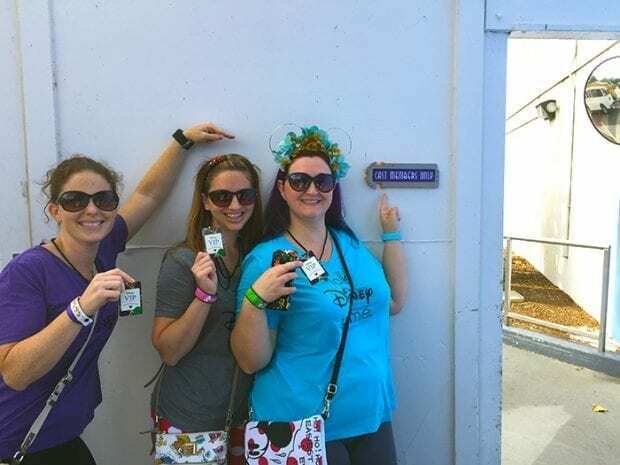 Not only did I get to spend time at Walt Disney World with a couple of my closest girlfriends Krystyn and Lindsey for an adult vacation, but I also got to experience the parks like a VIP. 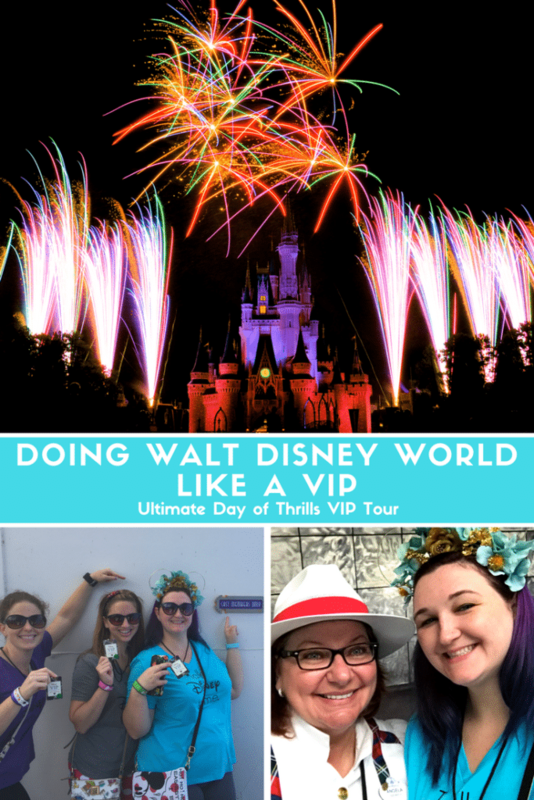 During the Disney Social Media Moms Celebration, I was given a chance to take a VIP tour and bring my friends with me. I decided to take The Ultimate Day of Thrills since we didn't have our little ones with us. 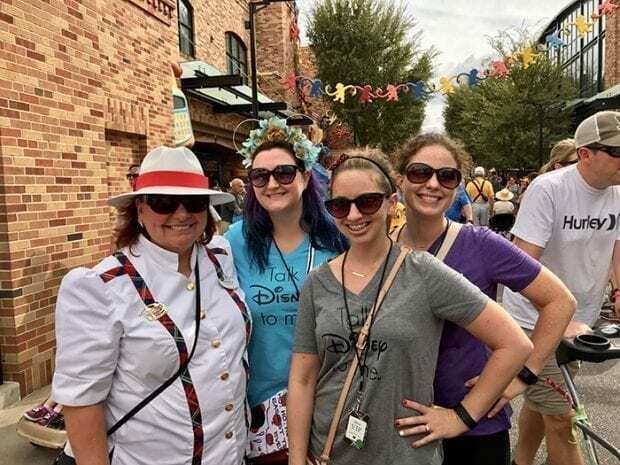 We started our day at the Magic Kingdom where we checked in and met our tour guide (She's the goofy one in the middle). There are two Ultimate tour options, a day of thrills and a family tour. 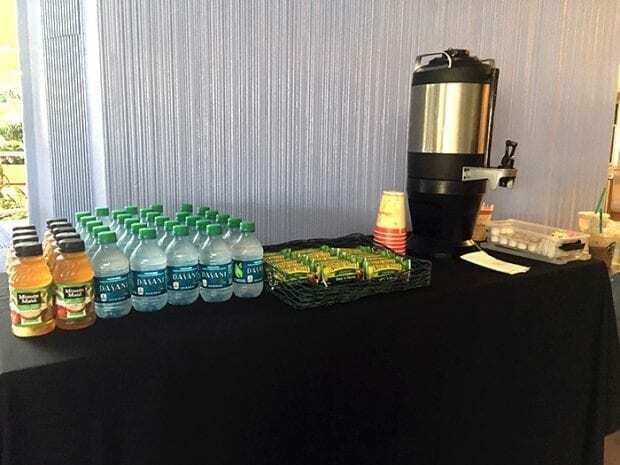 In the check in area, they provided us with coffee, water, juice, and snacks to get us fueled up for the day. This was the perfect time to ride the Starbucks ride before we started our journey. I chose the Pumpkin Spice Latte with almond milk (how awesome is that addition!?) because it is the Halloween / Fall time in the parks. It was nice having cold water handy during the whole day also because it is a fast paced tour. Our guide offered us water anytime we took a break as well. That granola bar helped keep me full until lunch time as well. After everyone had arrived we started our journey to all the great rides. The tours are grouped together in around 10-30 people. Our group had 11 people, so there were times we had to deal with single riders. But that didn't matter because our guide Angela filled a spot when we needed it. Angela was so much fun, and I couldn't ask for a better tour guide. We asked her all the questions we could, and she's been a Cast Member for over 15 years. What makes this tour special is the tour guide. 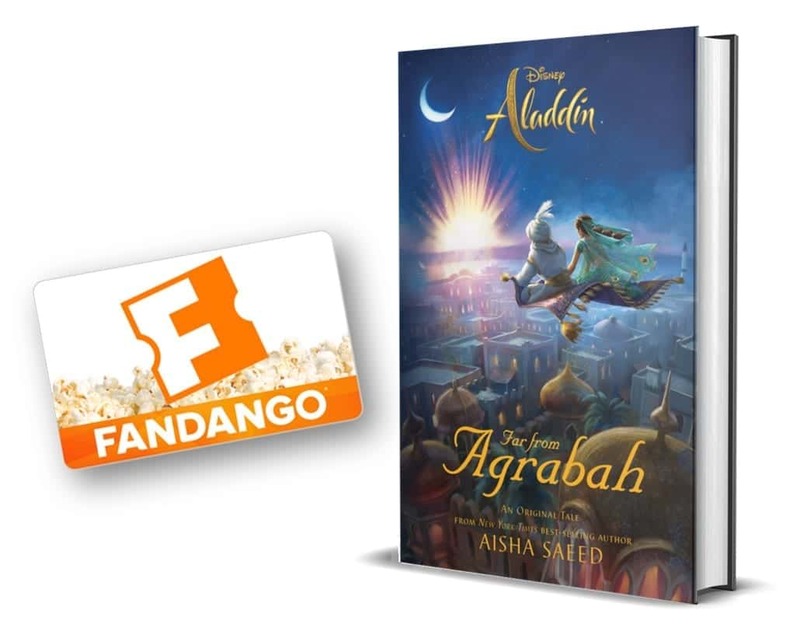 They are your personal FastPass onto all the rides. In most cases, we walked straight onto all of the rides that day! 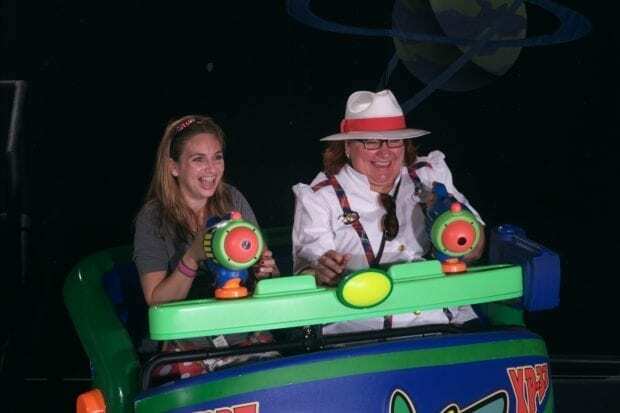 We spent most of our day at the Magic Kingdom riding Pirates of the Caribbean, Splash Mountain, Haunted Mansion, Seven Dwarfs Mine Train, Space Mountain, and Buzz Lightyear's Space Ranger Spin. 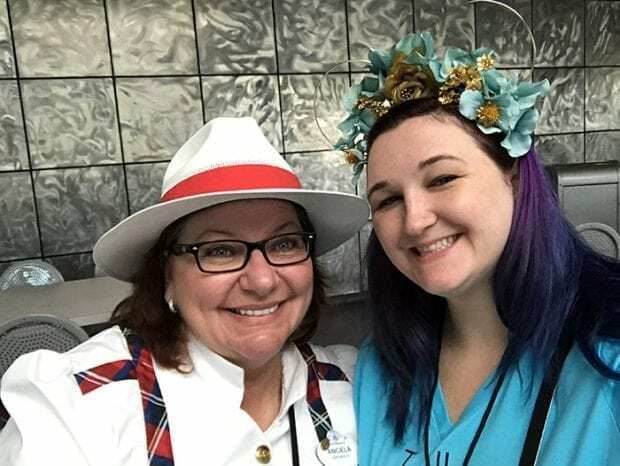 We even got to ride the Mine Train twice because we had a family that had to split up, it's all about smiles and laughter so Angela made it happen. After all of our thrills in the MK, we got to do something I've never done before, go behind the scenes into the Cast Members Only area. You won't find any pictures behind the wall because it is “strictly forbidden” (read that in your best Beast voice). I'd tell you all about it but I was sworn to secrecy. Then, we jumped into a comfy van with the air conditioner already on and headed to Epcot for our next stop. The vans are even equipped with car seats for the family tours! There were also lots of USB outlets to recharge our phones. Because of some ride closures during our trip, our tour took us to Epcot next. Generally, we would have gone to Animal Kingdom instead but Dinosaur was closed so they decided we would have more fun riding a few rides at Epcot. When we arrived we got to eat lunch at Sunshine Seasons. We selected a main dish, drink and a dessert to enjoy. 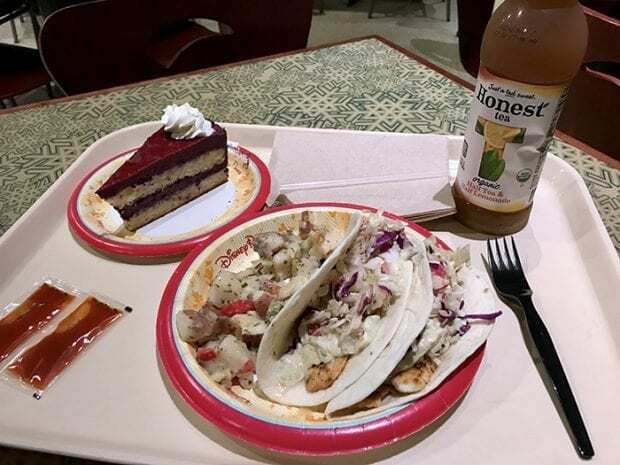 I grabbed the spicy fish tacos and a lemon berry mousse cake, and they were amazing. The meal is included in the tour so you don't have to worry about that either. After lunch, we rode Soarin' Around the World (one of my favorites) and Test Track. We ended our Ultimate Day of Thrills at Disney's Hollywood Studios where we got to experience Star Tours and Toy Story Mania. This is where we said goodbye to our fantastic host. It was sad to say goodbye to her, but I have a feeling we will meet again. Especially now that I know I can request a particular tour guide. 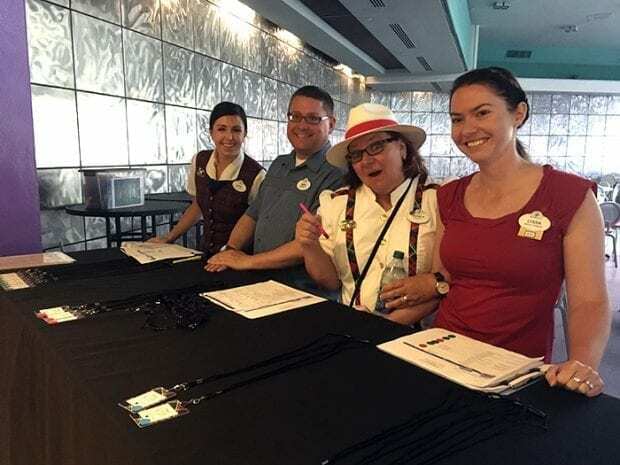 There are also private tour options where your party (up to 10 people) can have a personal guide through all the parks to help snag dining reservations, the best parade viewing spots, and anything thing your heart desires to make your trip more magical. The Ultimate Day of Thrills is $299 plus tax per person, and there are only certain dates that you can book them. Ride choices are subject to change due to closures or maintenance. Children over 7 may attend, and the tour lasts about 6-7 hours. 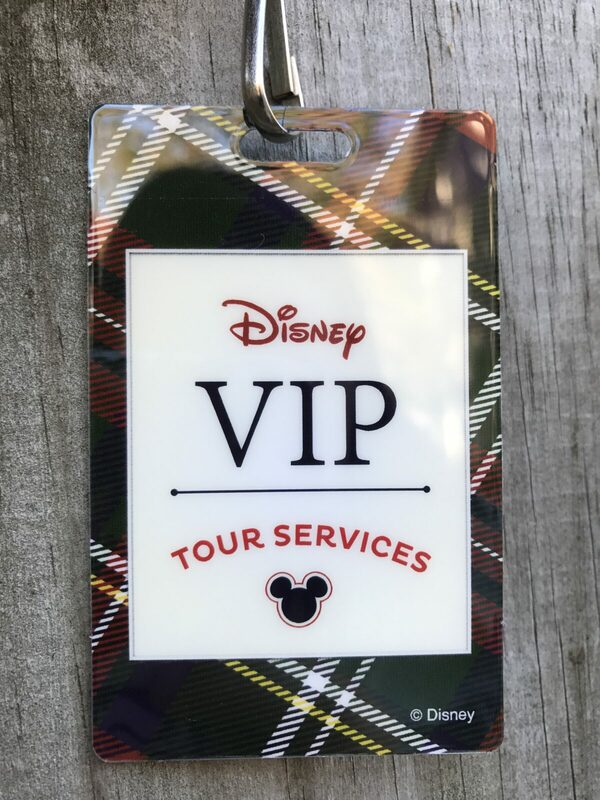 You will also have to have a Park Hopper ticket to attend the tour, and they will check when you get off the van in the next park. I would most definitely do an Ultimate Day of Thrills again because it was so amazing and fast passed. The family tour visits shows and more kid friendly rides for the little ones to enjoy. So glad to go with you all! Now I want to take the family tour, the private tour and more… I wonder what we could request to see?! Group family trips to do the family tour! We should do one at Disneyland next year!